Shoppers Drug Mart is having a Friends & Family Event. Today only, save 20% off almost all regular priced merchandise. 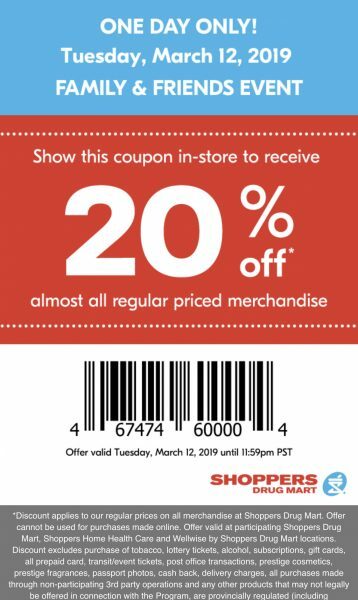 You’ll need to show this coupon in-store to get the discount. 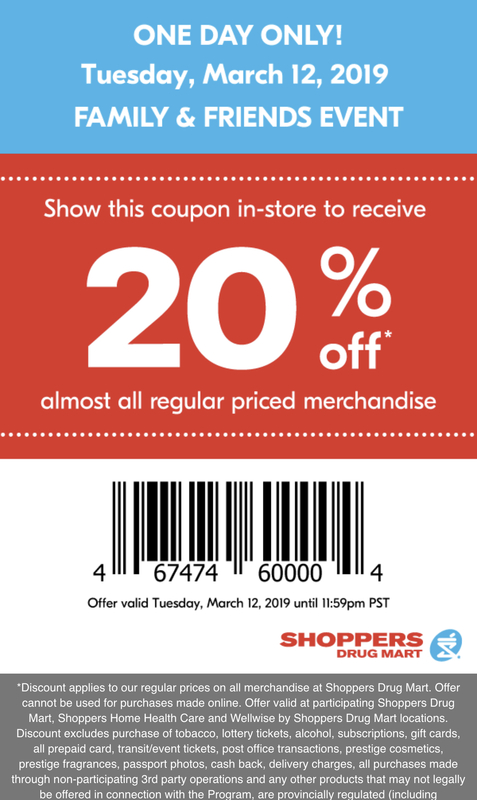 The coupon is for 1-day only on Tuesday, March 12, 2019 until 11:59pm PST. Click here to view Shoppers 20% off coupon. Click here to find a Shoppers Drug Mart near you.